Biki is a good way to get around today and tomorrow. President Trump’s visit to Honolulu to cause major traffic congestion but Biki is an option! 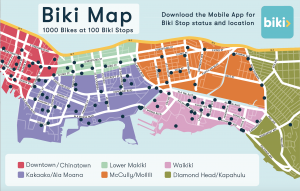 WHAT: Bikeshare Hawaii reminds residents and visitors that Biki provides an easy and convenient way to get around urban Honolulu during President Trump’s visit to Honolulu today and tomorrow. With several road and sidewalk closures planned for Waikiki, anticipated traffic congestion caused by these closures and the president’s motorocade, as well as planned protests, Biki provides riders an easy and convenient transportation alternative. 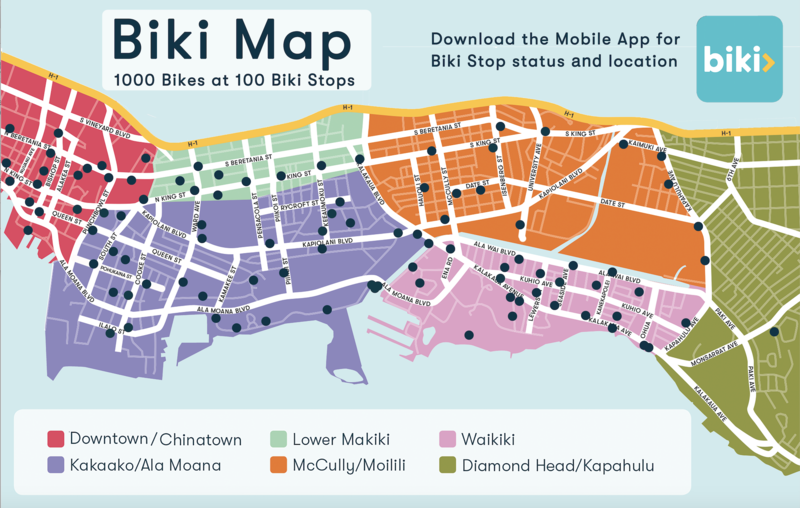 DETAILS: With nearly one hundred Biki Stops and 1000 bikes between downtown Honolulu and Waikiki, Biki provides a convenient way to move around instead of being stuck in traffic today and tomorrow. If you’re not a Biki member, you can purchase trips at any Biki Stop in minutes. 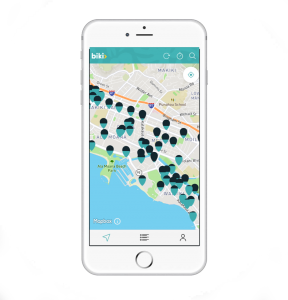 Or, you can sign up for a Biki Membership on the Biki App or at gobiki.org to access a Biki via the app. Customer Support is available every day from 6am to 11pm. Call 888-340-2454 if you need assistance. Biki riders are encouraged to download the Biki App via the respective Apple or Google mobile app stores. Biki will be working hard to have bikes where needed, but Biki Vans will be hampered by traffic issues. Riders can also view the map of Biki stops here. Biki riders are reminded to follow Honolulu ordinances and heed any traffic guidance or detours that are in place because of the president’s stay. Biki riders are also reminded that biking on sidewalks in Waikiki and Downtown is prohibited.